Whenever I travel in Europe, I realize how young America really is. What is old to Americans is just a newbie in the grand annals of European history. I’m usually home for the holidays but this year I will be cruising on the new Amadeus Silver II through France and Germany. Since it is such a long flight to Europe, I am combining two back-to-back Amras cruises for an 11-day cruise. 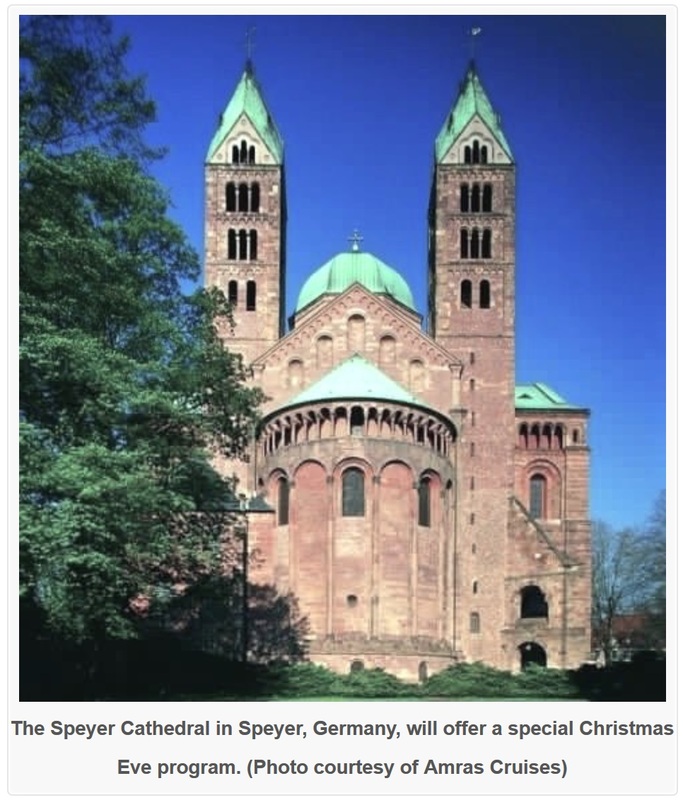 The first five-day cruise is called Advent on the Rhine. The second six-day cruise is Christmas on the Rhine. We will visit quite a few Christmas Markets in beautiful towns along the Rhine River. We will also take numerous excursions to learn more about the fascinating history of the places we are visiting. One thing I really like about river cruises is the ship’s ability to dock so close to towns along the way. Often, passengers can just walk off the ship and take a short stroll to the heart of the town. Also river ships don’t carry as many passengers as big ocean liners so it is easier to embark and disembark as well as to get to know each other. Our cruise will start in Basel on the French side and end up in Cologne in Germany. In France, we will be visiting Strasbourg. In Germany, it will be Kehl, Mannheim, Speyer, Heidelberg, Rudesheim, Koblenz, Mainz and Siebengebirge. I am excited about seeing the new Silver II. Little seems to have been written about her yet or about the cruises offered by Amras on the Lüftner fleet of river ships. 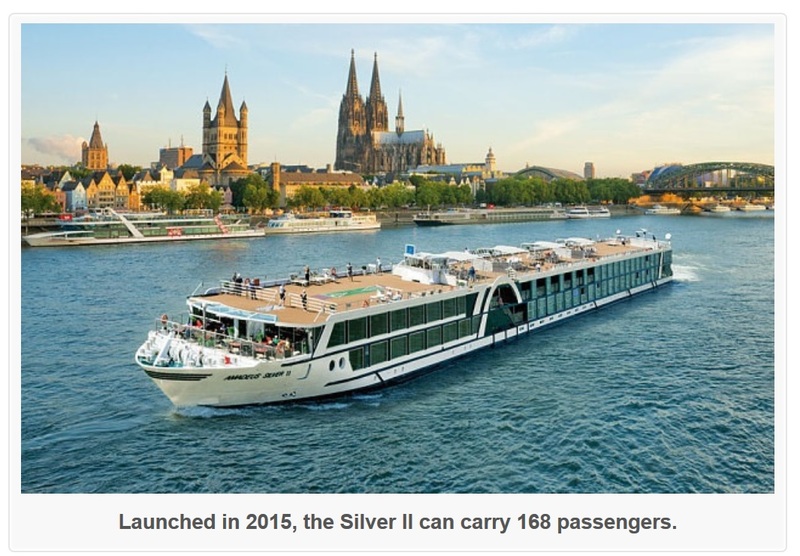 Launched in 2015, the Silver II is the 12th in the Amadeus fleet and the Silver III is already under construction with launch scheduled for spring 2016. It may sound a bit confusing but the Amadeus fleet of ships is owned and operated by Lüftner, an Austrian-based company. Amras is a tour company with a marketing office in Chicago specializing in the North American market. Amras was named for a tiny Austrian village located on the outskirts of Innsbruck. The quintessential charming Austrian village, Amras epitomizes the best of Austrian hospitality and the joys that make international travel such a pleasure. 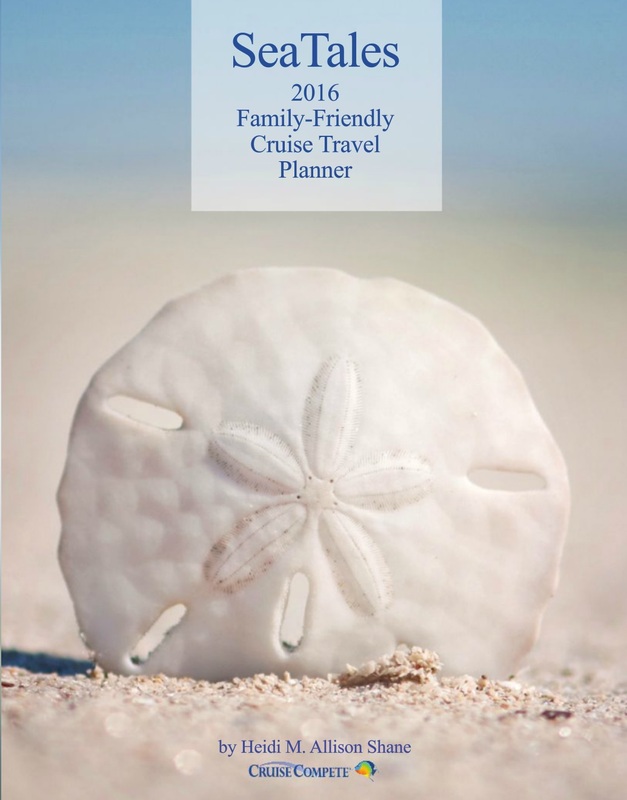 The Amras philosophy is to include as much as possible into a cruise and a cruise price so English-speaking travelers can cruise worry free. For example, all shore excursions, WiFi and gratuities are built into the basic Amras cruise fee. Beer, wine and soft drinks also are complimentary during lunch and dinner. This is what Amras has arranged for its guests on the Silver II but other tour companies may have other arrangements on the ship. So it will be interesting to discover what is what as far as the cruise offerings go. I have seen photos of the Silver II and the ship looks quite lovely and comfortable. The ship has four decks and can carry 168 passengers. As a nod to its Amadeus heritage, the decks are named Mozart, Strauss and Haydn. Cabins have individual temperature controls, flat screen TVs and walk-in showers. Suites have a private walk-out balcony and outdoor seating while staterooms on the Mozart and Strauss decks feature French balcony views. I will be in a stateroom on the third deck. My room will not have a walk-out balcony but will have a French balcony which I’ve never seen before. According to the brochure, with the push of a button I can lower the upper half of the floor-to-ceiling window in my cabin to create a balcony effect. The Silver II has one restaurant, a large Panorama Bar where most activities take place, a small corner Café Vienna for quiet coffee breaks, a larger Amadeus Club room with a small library and coffee machine, and a glass-enclosed River Terrace that offers wonderful views of the river. The ship also has an elevator, fitness room, hairdresser, massage room and small gift shop. Learning more about this mysterious lady, the Silver II, could be quite an adventure. Hope you’ll come along for the journey. To see the entire diary, please click here. Presenting a Premier Collection of European River Cruises on the award-winning Amadeus Fleet. In the 1970s, a small, family-owned travel company hailing from the village of Amras, Austria, launched a new and different kind of European travel experience, featuring cruises on chartered ships sailing the Rhine, Main, and Danube Rivers. Not only was theirs the first travel company to offer chartered cruises along the waterways of Europe, they virtually invented modern river cruising with the launch of their first ship, the award-winning MS Amadeus. Today, with 10 ships in their prized Amadeus fleet, Amras Cruises Worldwide is proud to offer their premier collection of river cruises designed exclusively for English-speaking travelers through Amras Cruises. Designed with an eye to creating spacious comfort and ease, and manned with a staff and crew trained to the highest levels of traditional Austrian hospitality, the Amadeus fleet is perfect for the demanding traveler. The company prides itself in delivering authentic, culturally engaging cruise and land products by tapping into decades of destination knowledge and long-standing supplier relationships. Amras Cruises is uniquely situated to provide the North American market with maximum value and flexibility, along with first-class service. Operations are based in Europe, close to the design and delivery of Amras' exclusive products and superior onboard experience, while the Sales and Marketing office is based in Chicago, Illinois, ensuring top quality customer service utilizing state-of-the-art online booking technology and friendly, knowledgeable expertise. The philosophy is to include as much as possible into the cruise and land price, so the Amras traveler can travel worry free. No need to think about gratuities, or which shore excursion to buy, or whether or not to have that afternoon Viennese coffee. It's all included. At your service. Azamara is constantly adding new ports and new itineraries. For example, the 2015 program included a total of 203 ports in 62 countries, with 16 maiden port calls. Both ships were built in 2000, with the Quest entering service with Azamara in 2007, the Journey, slightly later. Both ships have had extensive multi-million-dollar refits; the Quest was upgraded in 2012, the Journey, in 2013. Azamara Club Cruises consistently rank high in customer satisfaction, winning 35 out of a possible 40 Cruise Critic Cruisers' Choice awards. The reasons for this popularity relate to the total cruise experience offered by Azamara.